Easter is just around the corner. To celebrate the excitement, joy and camaraderie this Easter Sunday, set up your house or preferred event venue for your guest. To present charm for the party, lots of old school fantastic game activities are executed to entertain the youngsters. Obviously, the egg is the most recognizable symbolic representation associated with Easter. Easter eggs are meticulously painted with elaborate designs in vibrant assorted colors. This kind of design decoration approach is recognized as pisanka. Diverse cultures worldwide implemented their very own methods for designing gorgeous and exceptional representations of fertility. Below is an interesting infographic on how to color your Easter eggs with natural dyes. However you decide to design and decorate your Easter eggs, it is definitely a thrilling experience. Even though a lot of men and women choose to spruce up their eggs at home, some people would rather purchase it from the stores. Decorate your place for a spring season look and feel. Egg hunting is among the most awaited Easter activity where alot of family members get involved in. Apart from this, you may want to put together Easter egg gift baskets as souvenirs or party favors so that your party guests can bring home something once the celebrations is over. Presented by Fabergé just recently, The Big Egg Hunt saw more than 200 artistically painted and decorated egg sculptures set across central London up to the Easter weekend. All the two and a half foot eggs were made hidden around 12 Egg Zones. This was set to break the Guinness World Record for the most people participating in an Egg Hunt! The Big Egg Hunt hopes to raise over £2million for the charities Elephant Family and Action for Children. All the eggs are on sale and auctioned now. Elephant Family and Action for Children are innovative charities with boundless passion and vision who both like to think big. It’s this shared approach that has brought the two charities together to create The Big Egg Hunt and raise the funds that they both so urgently need. Below we picked 40 creatively designed egg sculpture. You may view more of the image via Flickr or check out their website. 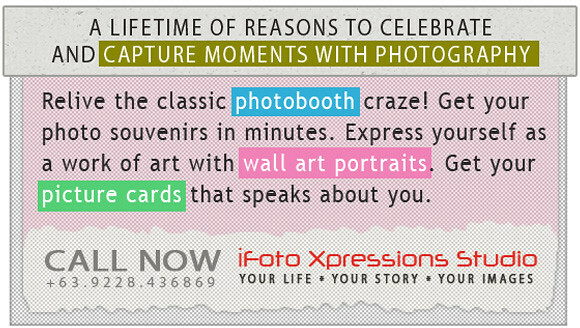 As Easter approaches, make sure you capture every moment of the fun and laughter with photography. People have sweet memories of get-together with family and designing eggs. Remember to bring your camera!